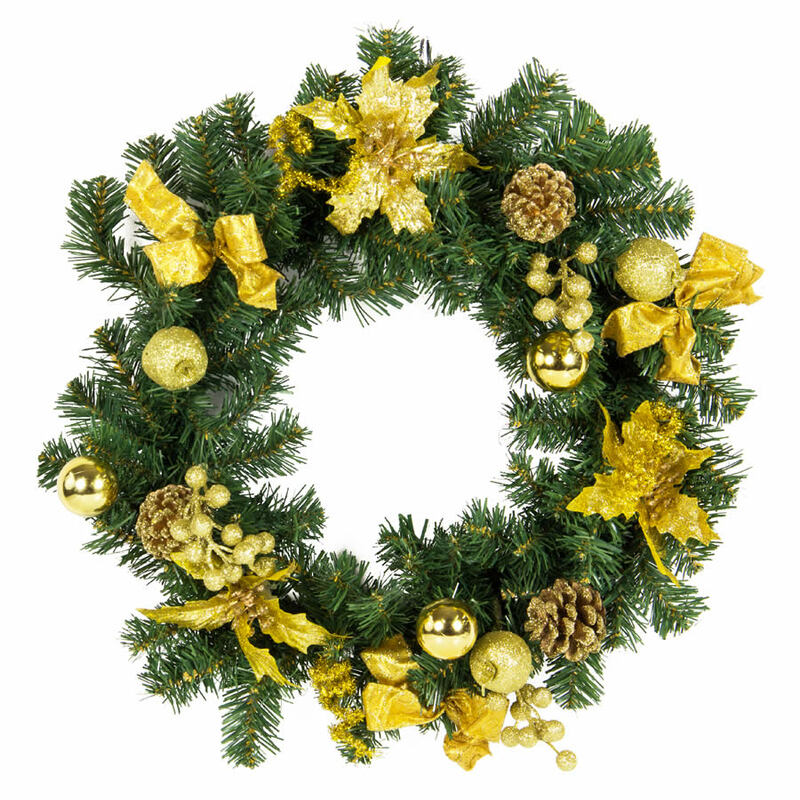 Go for the gold with our 50cm Gold Christmas Wreath. Add a touch of golden tradition to your Christmas decorations with this wreath. It is an easy and convenient way to deck the halls this holiday. This clever wreath echoes the simpler pleasures of the season, but is so beautifully balanced and executed that it will give all who see it joy. This stunning wreath would be lovely on a mantle, front door or centrepiece for your Christmas table. Buy two and give one to a friend for a perfect Christmas gift they can use year after year.